Following yesterday’s reports in US press that Cisco was looking to sell Scientific-Atlanta, the company has moved to confirm its commitment to set-top boxes, describing such comments as “erroneous” and “unsourced”. In a Service Provider blog, Corporate Communications head John Earnhardt drew attention to comments made earlier in the month by Cisco Chairman and CEO John Chambers. “Every few months there seems to be a rumor or speculative comment about our commitment to our set top box business. Let me be as clear as I can: we love set top boxes. But, you don’t have to believe me,” wrote Earnhardt. The New York Post had reported Cisco was looking to sell its Scientific-Atlanta set-top box business six years after acquiring the company. The paper said Cisco, who paid close to $7 billion for the STB manufacturer in 2006, had put the company up for sale because margins in that business have come under pressure, according to the paper. Cisco introduced its Videoscape platform in January 2011, built on technology gained from Scientific-Atlanta that allows media companies to deliver content through the cloud to smart phones and tablets. It subsequently acquired two technology firms – Inlet Technologies and BNI Video – to strengthen the capabilities of the platform. 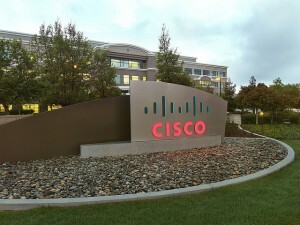 In a public filing, Cisco said its key manufacturing facilities for Scientific-Atlanta’s products are located in Juarez, Mexico, and in the fourth quarter of fiscal 2011, it entered into an agreement to sell them to one of its contract manufacturers. In April 2011, a senior Cisco executive predicted that set-top boxes as we know them today could almost disappear as cable migrated to IP video, with services increasingly driven by new, cloud-based infrastructures that support new screens and devices. “Set-tops are clearly moving to the point where they are either a piece of software that lives in another device, or they’re virtualised totally in the cloud,” Ken Morse, CTO of Cisco’s Service Provider Technology Group told delegates at a Light Reading event on ‘Cable Next-Gen Video Strategies’. Morse suggested that as consumers connect more and more devices to their networks, there would be opportunities for service providers to manage those devices. He nevertheless emphasised that legacy set-tops were still relevant, and could continue to deliver programming from servers on a cloud-based network. Morse also predicted that within seven to 10 years, all cable operators would rely on using IP technology to deliver video to a home. Within the next two to three years, all service providers would also rely on IP technology to deliver content to subscribers within a home. According to Morse, the biggest asset service providers have is their existing subscriber base. “It’s really about protecting that investment,” he asserted, noting that there were opportunities to retain subscribers both through legacy set-tops and new cloud-based technology and gateway devices.